Taylor High School Key Club led an entire district-wide event to collect and fill shoe boxes with toys and hygiene products for children around the world! Each classroom was given a shoebox they were responsible for filling and the response was amazing! Students were encouraged to pick a gender and an age for each classroom box and fill it appropriately. Many classrooms even included personal notes or pictures of their class. Our School District collected almost 100 shoeboxes! Key Club and Builder's Club then sorted and organized the boxes and then members of the Cleves Kiwanis helped to deliver the boxes so they could be shipped. 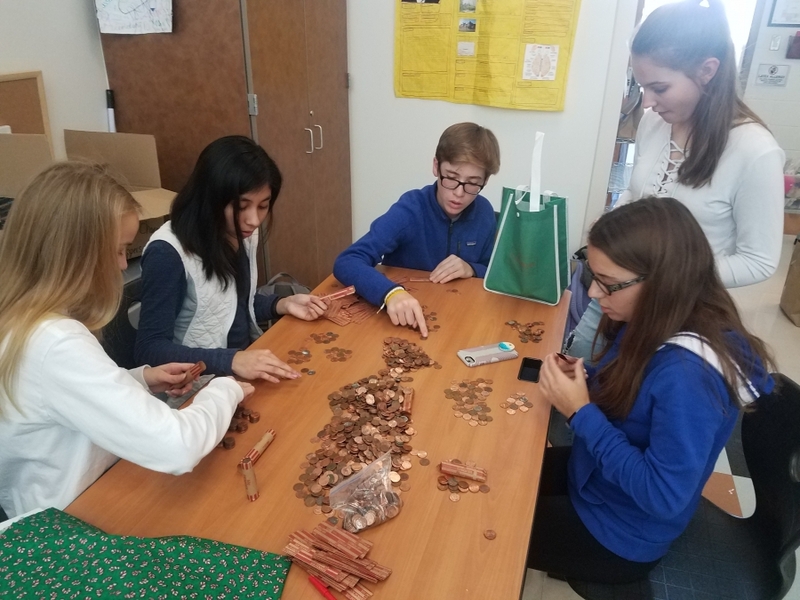 Taylor's annual fundraiser of Change for Change (pictured below) made a big difference again this year! The fundraiser collected almost $3,500 and all the money collected will benefit the BLOC house (which is a huge benefit for people in our community) and the Cinderella/Handsome Prince Program which helps students with financial needs be able to attend prom.